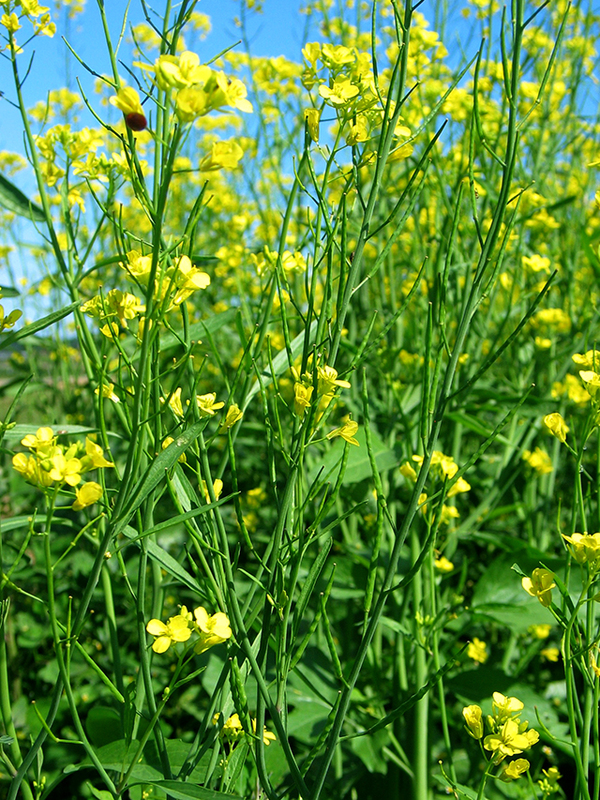 Mustard plants produce glucosinolates, which breakdown as the plant decomposes into allyl-isothiocyanate, which is similar to methyl isothiocyanate, the active ingredient in the chemical fumigant Metam Sodium. Varieties have been developed with high glucosinolate levels for the purpose of biofumigation. Several seed companies now market them. 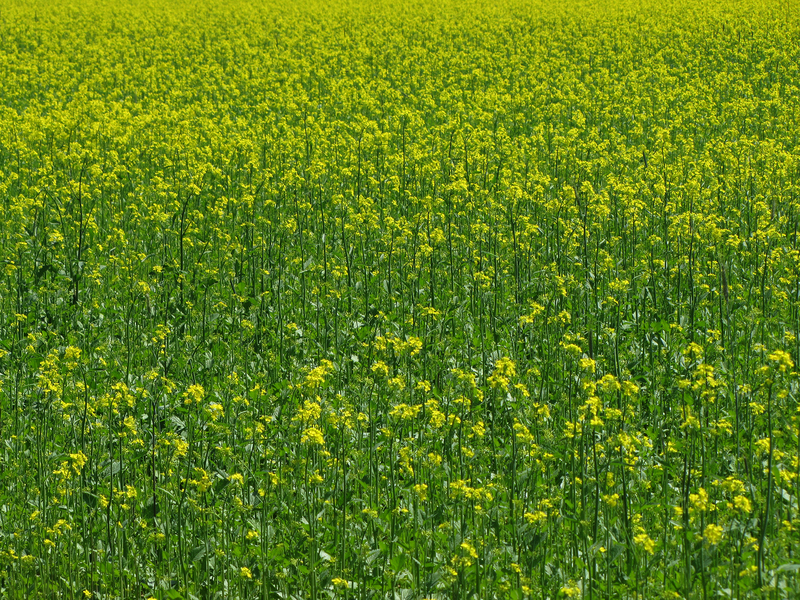 Additionally, similar to other cover crops, when incorporated into soil the mustard plant tissue can increase water infiltration, soil tilth, and organic matter. 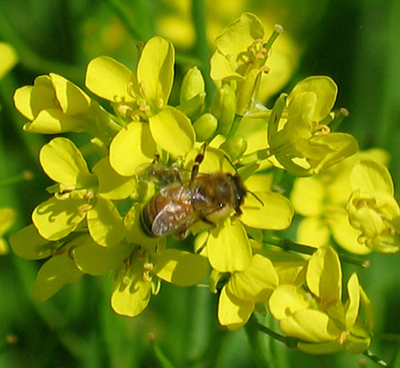 Other types of plants have been used for biofumigation, including arugula, in particular the variety Nemat, targeting nematodes. disking lightly before planting at least 7 days later to release any residual fumigant gas as well as manage any weeds that germinated. also use biofumigation as a component of a management program that includes other cultural practices and fungicides. It is important to apply fertilizer and water as needed to maximize biomass produced which will increase biofumigation. Seed start to mature about 6 weeks after the onset of flowering thus there is a long time period when incorporation can be done before risk of re-seeding. 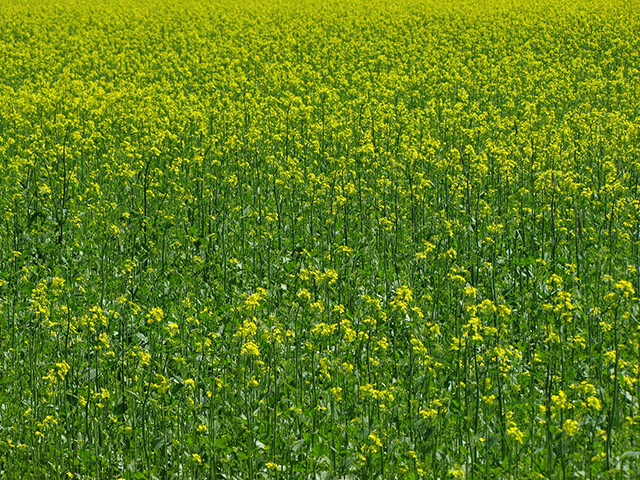 Mustard will continue to grow during early flowering period, further increasing biomass. Flowers are attractive to pollinators and beneficials. An ideal day for performing biofumigation is one with cloudy morning (thus cool) and high probability of rain later in day. Implementing biofumigation does not exclude use of reduced tillage for managing Phytophthora blight: these practices can be used in alternate years, which was the topic of a NESARE project conducted on farms. Proceedings and presentation files for talk on “Biofumigation and Reduced Tillage for Managing Phytophthora and Other Soil-Borne Pathogens” given at the New Jersey Agricultural Convention and Trade Show in February 2018. Video of biofumigation before seeding pumpkins at Jim Stakey’s farm on Long Island. 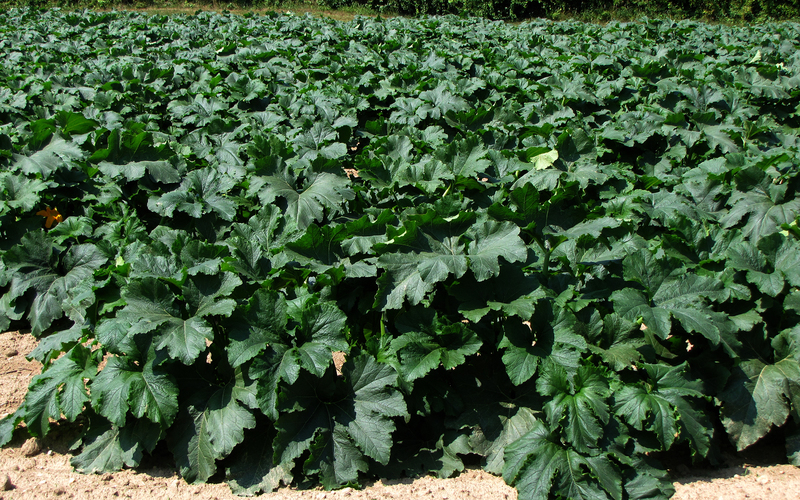 Below: Mustard cover crop used to biofumigate for managing Phytophthora blight in pumpkin crop at a farm on Long Island. Below: Incorporating mustard for biofumigation in a research field at LIHREC where Phytophthora blight was severe the previous year. 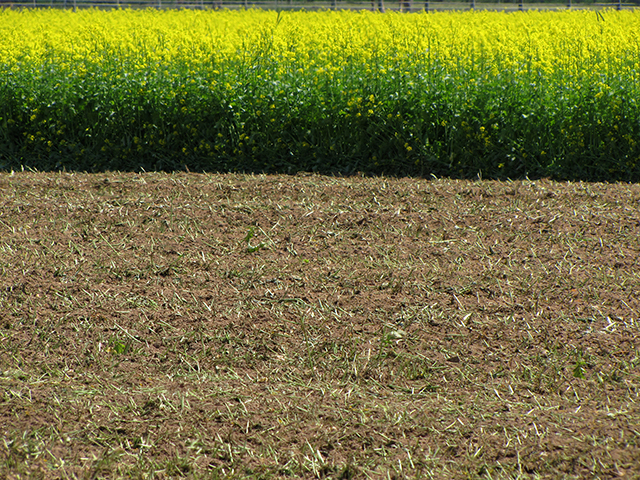 Below: Mustard seed matures slowly over about 6 weeks. progressing from green and easy to squash with a fingernail to hard and dark brown to black when mature. 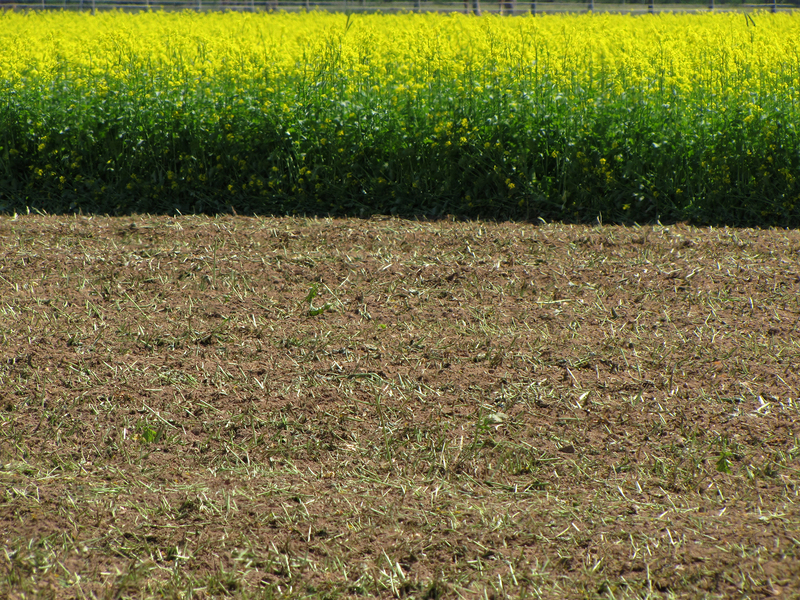 Thus reseeding due to incorporating after seed has matured is generally not an issue. Monitor maturity of seed inside oldest (lowest) pods when incorporation will be several weeks after start of flowering.